Welcome back friends and Members for the 2019 MPJFL season. Work is continuing behind the scenes for Team Managers, Coaches and Committee Members to make this the best season yet and to get us off to a flying start come round one. This season sees us having 15 home and away rounds (dates listed on our Facebook and web page under the events tab) with our first round being all home games between Fruities and Jones Rd, minus the U9's who will be who will be kicking off their season at the Crib Point Carnival. We are still in the preliminary stages of the fixture but we have locked in rd 1 so far. This will mean that also on round 1 we will be having dinner and awards at Jones rd on Sunday night. Bar opens at 5pm and dinner will be Roast beef rolls and served by the Under 17’s. A few changes to awards night this year as we will getting all coaches to come up and have their usual breakdown of the game they had, but we will only have the under 9’s,11’s, 12’s, 13’s and 13’s girls being presented awards on the night. The older groups will be presented theirs in the rooms after the game or at training during the week. Registrations must be paid by round 1 and code of conduct must be signed off by the 28/4/19, if your child has not paid or has not been to code of conduct, THEY WILL NOT PLAY. To Finish off, I wish all our current and past players from Somerville JFC that are going to the New Zealand Tour with the MPJFL and the MPNFL the best of luck and have a great time over there. Sponsorship packages can now be viewed from the sponsorship tab at the top of the page. We are aiming to cater to all business sizes and needs. Custom Packages can be arranged. The SJFC would like 2 or 3 people from different age groups to share the Merchandise role. It would require you to open and sell merchandise during your childs training session and for half an hour before or after your childs game on a Sunday home game. If you can spare the time to hang out in the warm Club rooms while your child trains and put in some time before or after your childs game on a sunday please contact the committee. Do you enjoy organising events and raising funds? WE NEED YOU!!! 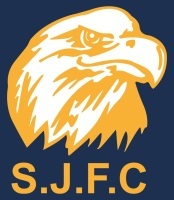 The SJFC is looking for a Events Organiser. Please contact a committee member if you are interested. Are you looking to play girls football? The SJFC now has an Under 13 Girls side that would love to welcome you. We also have an U18 Youth Girls Side and are looking to add more sides over the next few years. If you are interested we would love to hear from you.